One of the driving forces of GalleryofGuns.com is Gun Genie, a powerful search tool that allows customers to find and buy from you! As a qualifying Gold Dealer, your store information and prices are displayed to customers searching firearms in your area. Once the consumer selects your store to purchase from we take their online deposit, and you get a new customer! We are committed to your success. Our warranty allows you a leg-up on the competition by protecting your customers; the GuaranteeD® Lifetime Replacement Warranty allows you to compete on more than just price. 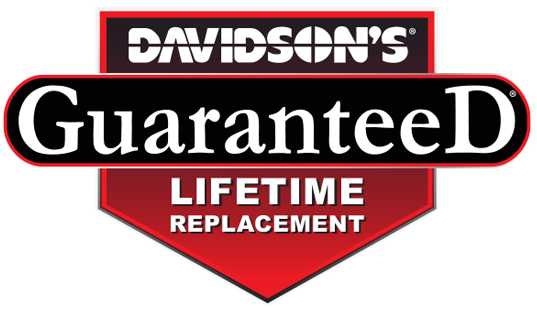 If anything ever goes wrong with any gun you sell with the Davidson's GuaranteeD® Lifetime Replacement Warranty, it will be replaced. If no replacement is available, it will be repaired at no charge to you. Simply have your customer return it to you and pay for their return shipping, upon receipt Davidson's will ship you a BRAND NEW GUN*. Sales Wizard is your online marketing command center. With Sales Wizard, you can create your own standalone store to feature on your website, or for our qualifying Gold Dealers, one to be featured on GalleryofGuns.com. You can set your store profile and customize your store options to match your needs. Sales Wizard gives you the ability to set the basic pricing for all manufacturers, all categories, and all your items including taxes and fees. You can even set the pricing for specific items by selecting the item number. Most importantly Sales Wizard allows you customers 24/7 access to your prices and availability. To become a Gold Dealer simple purchase 10 non-allocated guns on one order or by purchasing $10,000 of merchandise from Davidson’s in a twelve month period. Then to continue your Gold Dealer membership and enjoy all its benefits simply purchase $10,000 during the 12 months prior to November 30th of each year. Please contact your Davidson’s Account Executive for additional information or questions.